Kogado Studio has announced Yumeutsutsu Re:Master, a new visual novel from its Shimarisu-san Team, for PlayStation 4, Switch, PS Vita, and PC. It will launch in February 2019 in Japan. The PlayStation 4 and Switch versions will be digital-only. While Shimarisu-san Team’s previous title, Nurse Love Addiction, was a story of nurses and nursing students working in the medical field, Yumeutsutsu Re:Master is a story of the various people working at a game development studio. The setting is Eureka Software, a small game development studio quietly stationed in Kouenji, a town close to the center of Tokyo where the heart of the traditional working class still remains. 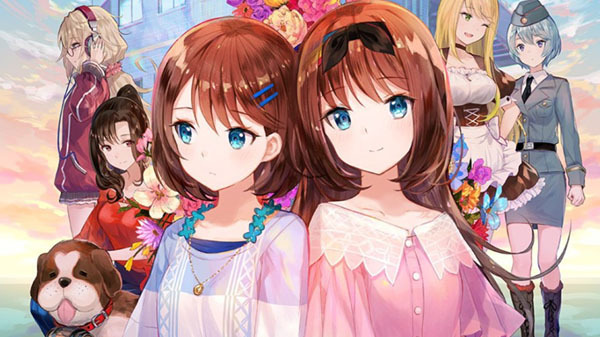 The story begins as the protagonist Ai, a simple-minded country-bred girl, visits her little sister Kokoro, who has been living away for a long time due to their parents’ circumstances and now works for a game company. Ai finds employment at this unknown game development studio overflowing with strange characters, where she will be overwhelmed, but pass each day in excitement. The only problem is that Ai’s little sister has a piercingly cold attitude towards her. Ai, who came to Tokyo for her sister, has lost Kokoro’s support. And then there is the legendary game “Nie Witch,” which has been handed down in the studio from their seniors.